As formalities continue to be shed in an effort to live in a more simplified fashion, so too our food has begun to follow suit. More frequently we are encouraged to eat our meals in a ‘deconstructed’ form. Jamie now scatters his communal dinners across a chopping board, cheesecakes are commonly served up in drinking vessels and salads regularly layered in kilner jars (maybe this is my cue to toss a scoop of Vegemite, a few cheese shavings and some bread in the lunch box for some deconstructed school sandwiches). But I digress. The Scandinavians, or more specifically, Ikea, have had the jump on this mode for years. 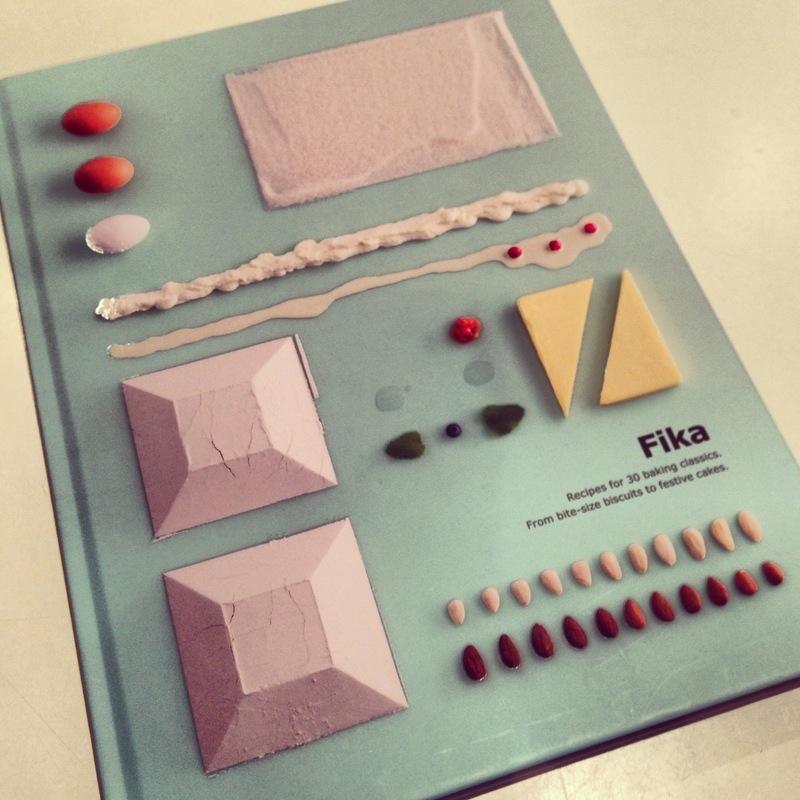 Their latest contribution to our pared-down existence is their new baking book, Fika, illustrating each recipe as a collection of deconstructed ingredients. Intrigued? So was I. Even on a day when baking is not within your reach, this book is a lovely browse, as rarely have I seen a collection of recipes photographed in such a simplistic form. For novice cooks to be able to see baked items broken down this way, leaves very little hiding space for uncertainty or self-doubt to settle. Dismantling kitchen fear and apprehension my friends, can only be a good thing. Cream butter, sugar and syrup. 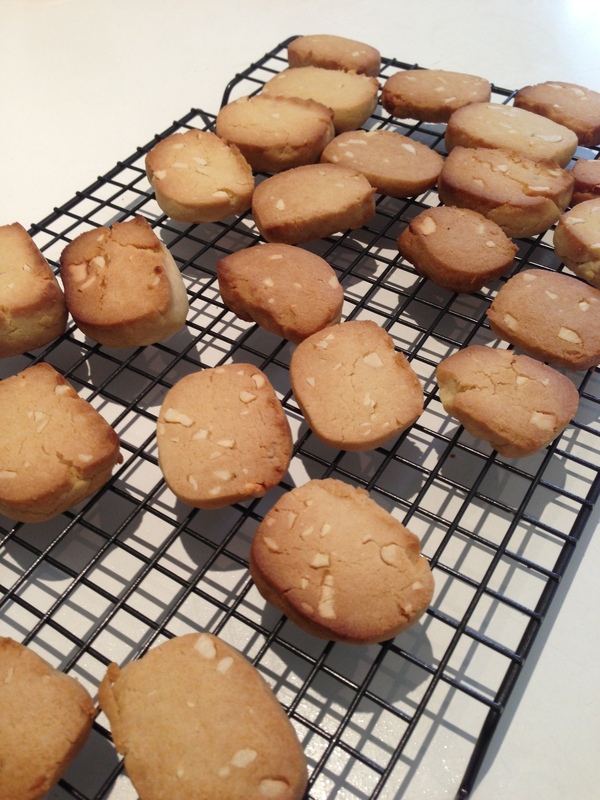 Combine almonds, flour and bicarb of soda and then add this mix to the creamed mix. Work into a dough (at this point, you may or may not need to add the milk, depending on how dry your dough is). Roll the dough into a long sausage, about 3 cm thick and wrap in cling film. Refrigerate for up to an hour or freeze. Pre-heat the oven to 200 degrees celsius. Remove cling film and cut slices of dough about 1 cm thick. Lay these out on trays lined with baking paper. Bake for 6-8 minutes. Cool on wire rack. 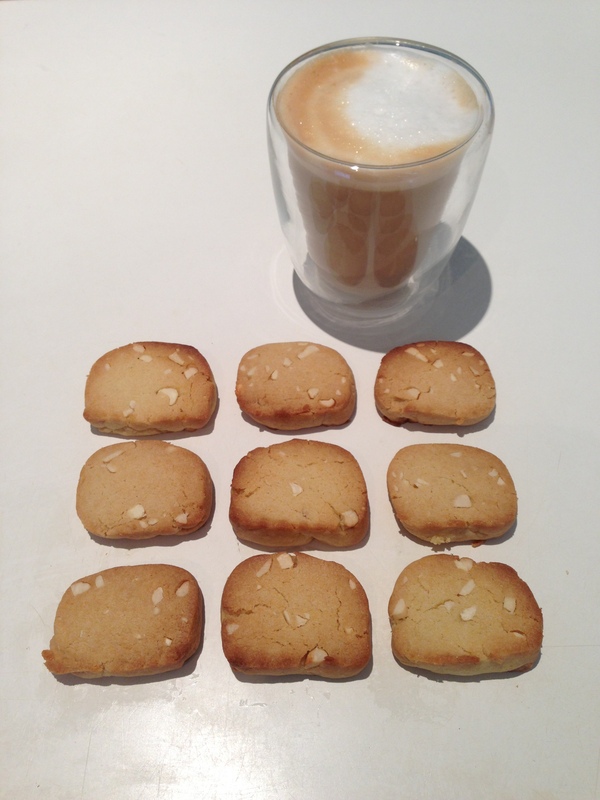 You will need to be forgiving with some of the text in Fika, as we are crossing a fairly challenging language barrier here. The odd ingredient may be foreign, and occasionally ml is used in place of gram, but remember, we are working on our flexibility. Postscript: By the way, Fika is a marvellous word to have in your vocabulary when you burn your hand on the oven tray whilst young family members are present.